To improve problem solving capabilities with emerging trends of contact lens practice. 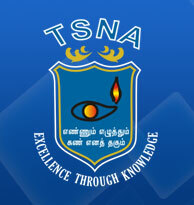 TSNA is now in the process of receiving the application forms for the forthcoming batch in July 2013. The total number is restricted to 2 to facilitate close interaction and better learning. As the last date for receiving the application is June 15th, interested candidates are requested to send their completed application form with necessary documents before that date.